Your donation helps our coommunity. Click HERE to learn about other ways you can help. 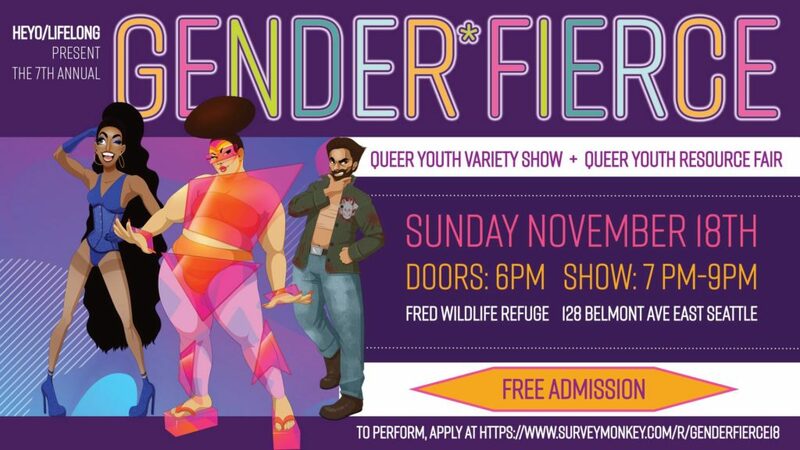 Gender Fierce is a queer talent show of young performers wishing to showcase their most authentic selves to their community, in an effort to encourage authenticity, resilience, and artistry. During these trying times, it is important to support the upcoming LGBTQ generation of leaders, artists, and revolutionaries! Whether you are interested in being a performer or an attendee at Gender Fierce, we are excited to see you all there!